I first encountered Barbara, when she was a mighty sophomore and I was a lowly freshman at Saint Patrick’s Academy in Washington, D.C. In the many years since then, I have followed her escapades—always with interest and periodically with shock. (Those of us who knew her need no explanation for what I have just said.) Her quick wit was often met with laughter and sometimes with dismay. However, in a more sobering moment, the evening before she died, she said to be sure to mention something “holy” in what I would say about her! Perhaps I could start with acknowledging the tributes to her as a person and her ministry in Appalachia, which have truly been inspirational. I reflect as well on the genuine sorrow and grief of so many here who counted her as sister, friend and colleague. Barbara Jean Korkisch was born in Ilion, New York, to John and Bessie Korkisch. When Barbara was in grade school, the young family moved to the Washington D.C. area where there were employment opportunities for her dad. 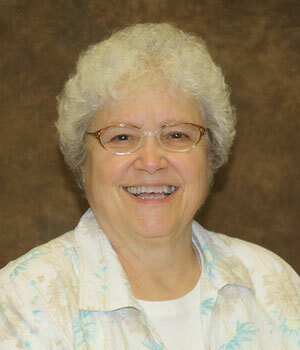 She came to know the Sisters of the Holy Cross at Saint Patrick’s Academy, where she attended high school. Although she never wanted to be in business, she managed to do well and went onto attend Montgomery Junior College to become a dental assistant, which she practiced for two years before entering the Congregation in 1961. From her early years, Barbara was always fun-loving and adventurous. During her high school years and beyond, her Studebaker convertible provided the wheels to cruise Washington, Annapolis and Edgewater Beach, where Camp Saint Vincent de Paul on the South River was located across from her grandfather’s cottage with access by boat or car. Our late-night visits to see our counselor friends, Michael Mary Nolan, Maureen Herron, Loretta Downs, Judy O’Neill and Terry O’Hare, were often met by a huge spotlight held by Sister Victoria (Diehl), CSC, director of the camp, who provided “security” for her camp residents and who doubted our intentions! Barbara’s desire to enter the Sisters of the Holy Cross was strongly opposed by her mother. Being an only child, made her decision even more difficult. She persisted (you will see this quality demonstrated all through her life) until her mother could see that she was determined to follow her calling. 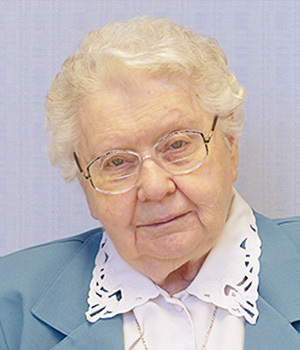 At her reception into the community, Barbara Jean Korkisch received as her religious name, Sister M. Jean Barbara. 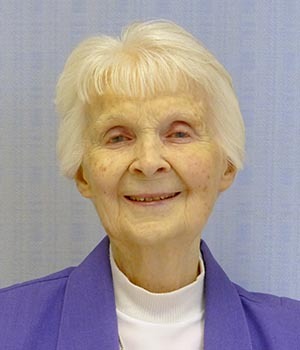 In 1964, she made her first profession of vows and in 1969, her final profession. Being actively engaged in her ministry—working with her hands, fixing things, not being confined to an office—seemed to meet her gifts as well as respond to the needs of others. The community decided that preparation in hospitality/management would offer her skills that could be applied to overseeing the upkeep of our schools and hospitals. 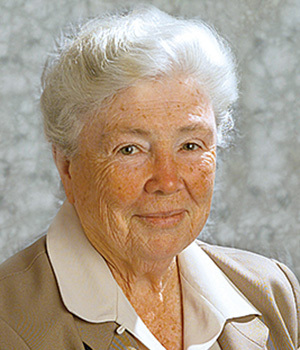 For twelve years, she directed the plants at the The Academy of the Holy Cross in Kensington, Maryland, and Saint Mary’s Academy in Alexandria, Virginia. 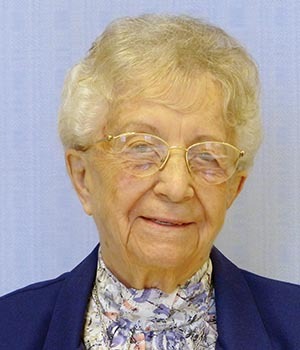 After fifteen years in congregational ministries, Sister Jean Barbara went back to school at Springfield College in Springfield, Massachusetts, to obtain her bachelor’s and master’s degrees, specializing in community development with the hope of being able to serve in Appalachia. 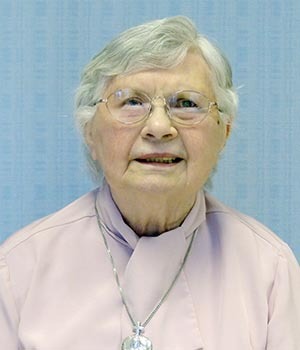 She was inspired by Sisters Rita Bray, CSC, and Julia Marie (Jacomet), CSC, who were serving in Lansing, Tennessee, at the time, and by the pastoral letter, “This Land is Home to Me: A Pastoral Letter on Powerlessness in Appalachia” by the region’s Catholic Bishops. She also found inspiration in the Congregation’s call for new ministries that provided preferential option to the poor. I believe she had a “missionary calling” from the beginning and persevered in following that call. Sister Jean Barbara was a true pioneer! 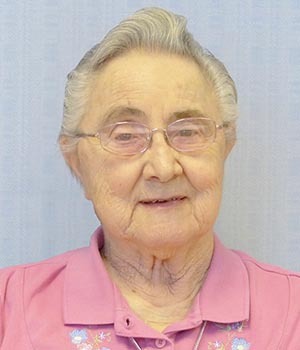 With congregational encouragement, after searching out several areas in Appalachia, Sister Jean (as she is known to many) settled in Nora, Virginia. She spent several months getting to know the people and their needs. This was challenging as she did not know anyone and some wondered what her true intentions might be. Soon, along with a group of local women connected with the Church of the People and the Dickenson County Food Co-op (which later became Binns-Counts Community Center), she started the Playtime/Storytime program because there was no Head Start or preschool in the county at the time. 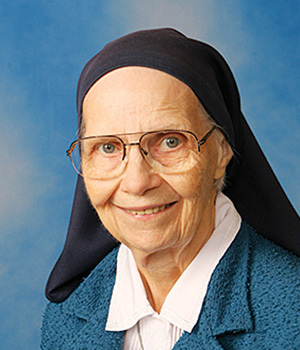 In 1984, Sister Clarissa Conroy, CSC, came to live with Sister Jean and joined Sister Bernie Kenny, MMM, in her health care ministry, which also addressed an unmet need in the area. As one need was addressed, another need was identified. This time it was a need for a daytime General Education Development (GED) program for local women who had not finished high school and wanted to continue their education. Sister Jean and the group arranged a GED class at the Binns-Counts Community Center at the same time as Playtime/Storytime was being conducted in the house next door. A further need that surfaced was housing repair. Don Prange, pastor of the Church of the People, had been bringing college and high school students to the area to tell them about Appalachia and involve them in the housing program. Sister Jean and Mary White coordinated the program and solicited groups of college and high school students, church youth groups and adults to repair the homes for the area’s no- or low-income residents. For nineteen years, the program grew, drawing in volunteers who were primarily high school and college students, as well as youth groups from Catholic parishes on their spring, summer or fall breaks. The work groups covered the costs of their transportation, food and project supplies and stayed at the Dorothy Baker House. There, in addition to a full day of service to the needy persons and families in the community, they took turns cooking meals and leading morning and evening prayer and reflection time. With its expansion, the program required paid staff. Sister Jean’s small team included Leann Bailey, Debbie Mullins and Debbie’s husband Jeff, who took groups, which typically included between 15 and 25 people and divided them into three or four work crews with one staff supervisor for five teenagers. Common projects included roofing, flooring, replacing plumbing and rebuilding bathrooms, repairing porches, adding wheelchair ramps, railings, decks and painting. “Volunteers would do all they could to make a client’s home warm, safe and dry,” said Sister Jean. She believed that those who had very little deserved the best of everyone’s efforts. Cultural events, local site-seeing and discussions on Appalachian issues were part of the experience also. Every week, local musicians provided entertainment and a history of mountain music, and parishioners brought in a picnic potluck to the work groups. Workers also learned about the coal mining industry and life in small town Appalachia. On evenings, when the weather was good, volunteers could climb the 182 steps up to Birch Knob Observation Tower to see the beauty of the Appalachian Mountains at sunset. 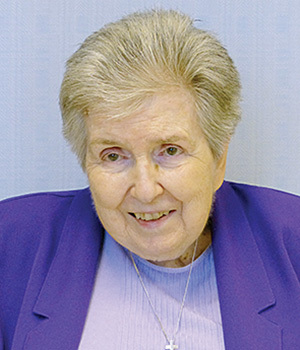 A lifelong advocate for social justice, Sister Jean always urged the young people to follow up their week in Clintwood by becoming involved with poverty-related issues in their own communities. “I encouraged them to get to know what was going on in their own hometowns and with their local governments,” she explained. Sisters of the Holy Cross also find inspiration in Sister Jean’s pioneering spirit. She truly lived out our core value of compassion in her solidarity with the people of Appalachia and in her loving, long-term commitment to serve their needs. She identified with the vision and concerns expressed by Pope Francis in his encyclical, Laudato si´, in his care and concern for the environment and the focus on responding outward to the needs of the poor and vulnerable of this world. God bless and keep you, Jean Barbara, we love you right back!